What Role Did Catholics Play in Rwandan Genocide? I was watching the documentary “Shake Hands With The Devil: The Journey of Romeo Dallaire” tonight, and there were disturbing charges made against the Catholic Church concerning the role of Catholics and the local and Vatican Hierarchies in doing little or nothing to reduce the factional tensions. Here is an article that makes a more direct case against our fellow Catholics http://www.guardian.co.uk/commentisfree/belief/2010/mar/29/pope-catholics-rwanda-genocide-church. I am one who believes that the official teachings and the Sacraments of the Catholic Church are the places of security for us as Christian believers, but the administrative decisions and the actions of individual Catholic laity/clergy are not protected from error or sin by the Holy Spirit. So, I would like to know more about the role of my brother and sister Catholics in the lead-up to (and direct actions), during the genocide of 1994. Was the Catholic Hierarchy in Rwanda (as well the representatives of the Vatican) teaching a vigorous message of non-violence, anti-tribalism, and informing the global community of the scope of the man-made horrors in the attempt to bring in the international community to halt the spread of violence? I want to know because I often feel that we Catholics are our own worst enemies in what we do and what we fail to do as ambassadors for Christ and His Church. But I don’t want to jump to hasty conclusions that unfairly charge fellow Catholics with horrible accusations. So, does anyone know more about all of this? Is there a need to acknowledge some more self-inflicted Catholic damage to the mission of promoting the Good News? Or should we be defending the overall Catholic effect before, during, and after the genocide? This entry was posted on Saturday, August 21st, 2010 at 12:35am and is filed under Uncategorized. You can follow any responses to this entry through the RSS 2.0 feed. Both comments and pings are currently closed. 23 Responses to What Role Did Catholics Play in Rwandan Genocide? I too am curious about what the bishops were doing. There were heroic priests and religious as well as some convicted of crimes against humanity. Some of the stuff they were convicted of is mind-blowing. I have a cyber mate in Texas who discussed this with me a couple of years ago. I’ll e-mail him and see if he has anything to offer. 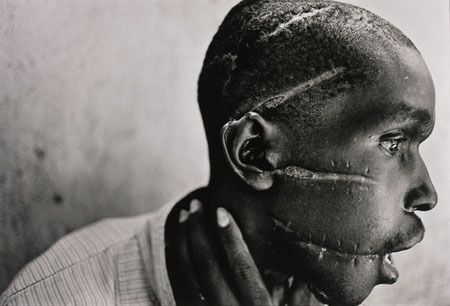 “In Rwanda, a backlash of oppression against the Tutsi by the Hutu led to many cultural conflicts, including the Rwandan Genocide of 1994, in which Hutus who were in power then, killed an estimated 500,000 – 1,000,000 people, mostly of Tutsi origin. Tutsis, who had formed a strong rebellion while in exile in Uganda, led a liberation war and came back to their country in 1994, to finally lead the country. In Burundi, a campaign of genocide against Hutu population was made in 1972. In fact, the Hutu majority attempted many revolutions against the leading Tutsis but in vain. This led extremist Tutsis in power since independence to conduct serious oppressions especially against educated Hutus. and up to 200,000 Hutus died. In 1993, Burundi’s first democratically elected president and also a Hutu, Melchior Ndadaye, was assassinated by Tutsi officers, as was the person constitutionally entitled to succeed him. This sparked a period of civil strife between Hutu political structures and the Tutsi military, in which an estimated 800,000 Burundians died. There were indiscriminate mass killings first of Tutsis, then of Hutus; of these, the former have been described as genocide by the United Nations International Commission of Inquiry for Burundi. Pope JP11 long ago condemned those Catholic religious on both sides who stoked and fanned the racial war. His stern warning IIRC was that “they would be answerable to God”. The linked article is an idiotic summer hunt, hoping to ride on the outrage over the Irish scandals. To the extend that anyone is to blame in a civil war, its a wholly Rwandan problem, the Africans have to take responsibility for their own actions. Once the genocide was underway, only outside intervention could have saved the Tutsis. But the international situation after the breakup of Yugoslavia, and the bloody reception the largely US forces received in Somalia for their purely humanitarian mission made the Western powers wary of any further adventures. The few Belgian paratroopers that found themselves in the thick of it, were massacred and their bodies were horribly mutiliated. To understand this kind of behaviour it is useful to study the behaviour of roving bands of primates in the wild as that is what we largely are, but for the grace of God. Apparently, liberal elites have it both ways. Here’s the point. Westerners, in general, and Catholics, case in point, are evil and this mass horror is additional evidence used to support the liberal narrative. OTOH, all Muslims are virtuous (or victims of Western Civilization). Thousands of islamoterrorist (emulating the Muhammed/ PTBOH/obeying the Koran) murders committed each year do not represent real Islam. Wake up. This is misdirection meant to distract you from the global terror war against US. And, stop eating your children! That Catholics were involved, in a country colonised by Belgium, is true, and some were priests or nuns is also true. I expect some collected stamps or played chess, but that doesn’t mean the chair of Stanley Gibbons or the president of FIDE is complicit or has to apologise. I have two thoughts on this. The first is that it’s probably not a good idea to treat Catholicism as something akin to stamp collecting. The second is that obviously the Catholic Church does not support mass murder or racial hatred. Neither does it support abusing young boys. The Pope apologized to the Irish Church not simply because some individual Catholics had done wrong, but because Catholic clergy had abused their office in order to commit their crimes and the hierarchy had been lax in stopping or punishing it. The same appears to be true for Rwanda. Priests would use churches as a place to gather Tutsis together (where they thought they would be safe), and then turned them over to the butcherers. I think the Church in Rwanda BA has largely been used as a scapegoat. As the acquital of Bishop Augustin Misago in 2000 indictates, many charges were lodged by the Tutsi dominated government following the genocide that had much more to do with politics than an actual attempt to do justice. Donald was not comparing Catholicism to stamp collecting. Instead, he was saying that Catholics were included among those who committed atrocities in the same way that we are included among any group of people, from the tragic to the mundane. In other words, such inclusion had nothing to do with their Catholicity as such. I think Donald was quoting someone else. In any event, when a priest invites people to take refuge in his church and then bulldozes the church on top of them, I think you have to say that his Catholicity was more than incidentally involved. Can you expand on your thinking there, BA? Apart from the article- the film had really only one moment where a commentator was making the claim that the Catholic Church by herself could have nipped this thing in the bud- since it was the biggest church in Rwanda- if the clergy had clearly and frequently objected to the notion that the Tutsies were baddies, that tribalism of the sort experienced in Rwanda for long decades at least, was also taboo for all Catholics- that this would have made a critical difference in forming the consciences of more than a fair share of the people. I would also think that the local clergy would have been aware of the seething radio broadcasts which demonized the Tutsies and been united in attempting to push back against the madness. I am not saying that the local churches and hierarchies did no such thing- but that is the charge that was made in this otherwise powerful documentary on the role played by the UN General in charge- Romeo Dallaire. It would seem that like with the Holocaust, in a genocide where many Catholics are present in the geographic area in question- there would have to be some soul-searching and fact-checking to see how effective or ineffective our Catholic responses were at the time- both in leading up to the mass killings and in the real time of those evil actions. It’s a basic moral principle that if you don’t hold yourself, your people and your church in honest account, then you lose the high ground in being able to assess what went wrong and why- so prevention strategies can be implemented so history will not repeat itself. I would compare the situation to say our American genocide of abortion- it is a worthy question to ask if we, as Catholics on the scene- so to speak- are doing our best in responding to the mass killings- first stage is assessing the church teaching- then looking at the follow-through in the parishes via priest advisories, and lay leadership in taking on a critical temporal order issue. As I understand it, the Hutus and Tutsis are both largely Catholic, so the genocide wasn’t a case of the members of one religion going after the members of another. And that makes things even more troubling in that these are people who shared the Catholic faith and yet allowed tribal hatred to trump Christ and Church- the simple story of the Good Samaritan would be all one would need to put forth vigorously to establish the higher truth about how one treat someone of a rival tribe- let alone the Commandment to Love one’s neighbor. I recall there was a female visionary in Kibeho years before the genocide- does anyone know what she claimed Mary was warning her about? Clearly the visions predicted the genocide to come. The Bishop certifying all of this was the falsely accused Augustin Misago I referred to above. Here is a link to a Wikipedia article on the Kibeho massacre of 1995. Note that this happened under the Tutsi government that seized power after the main genocide of 1994 committed by the Hutu government. The Australian troops there as part of a peace-keeping force, and who were true heroes that day, estimated that the Tutsi troops murdered about 5,000 people. I would recommend read the book “Shake Hands With The Devil” by General Romeo Dallaire, who commanded the UNAMIR mission, instead of watching the TV documentary. The book provides much better detail and a much more balanced presentation. Dallaire does not blame the Catholic Church in any way, shape or form. He first blames, obviously, the people who did the killing. After that he points the finger at France, which had a strong military presence in the region but ended up protecting and helping out many of the higher-ups in the collapsing Rwandan government but did nothing to stop the killing. He does point the finger at the U.S. for not helping but also points out that the U.S. was still smarting from the Somalia debacle and that the political will was lacking to take on another mission. He is also quite critical of the former colonial power, Belgium, for failing to supply resources though he speaks well of the small number of Belgian soldiers he had under his command. The General does not point the finger much at the UN but after reading the book you will truly wonder why that is. The UN comes across as an organization wholly incompetent for the task it took on. At one point, if my memory serves me correctly, the UN is delivering furniture and high-end diplomatic vehicles to a house rented for a top diplomat while the troops under UN command do not even have basic supplies, including toilet paper. A truly interesting read. Highly recommended. The failure here, outside of the Africans, themselves, lies with us in the United States, I am afraid. We have been graced with our power and wealth for a reason – and it isn’t to have 50 inch televisions and Ipads. Blessed with our wealth and power, we are morally obligated to use it for the common good. As soon as it was clear that no one in the area was going to stop the massacre, we should have dropped in whatever troops proved necessary and settled accounts with the murderers with extreme force, if the mere appearance of US airborne troops and Marines didn’t quiet them down. I’m tired of hearing how we have to go through a corrupt and worthless UN. That we have to wait for France to decide if they’ll lift a finger in Africa beyond protecting their business interests and kept political leaders. That we have to respect the alleged sovereignty of nations which were, after all is said and done, cobbled together willy-nilly by European colonial powers in days past. When beasts in human skin go on a rampage, it is up to civilized people to stop them, period…and because other people are cowardly and base, that does not excuse us from doing our duty. As DonKiwi points out, it’s been a couple of years since I read Dallaier’s book. However, it’s a very good read. Zeppo sums things up rather well. I don’t recall Dallaier accusing the Church in any way of complicity or responsibility. His main aim was that UNAMIR could have taken a stronger role prior to the genocide, but was thwarted by the combined efforts of the UN, Clinton administration and France. Whether individual Catholics – be they laity, priests or even bishops – is something that I can’t really comment on as I’ve never read much about it. What I can say is that Dallaier didn’t seem sufficiently worried about it to make it into a large scale issue. Africans arent fooled by these articles of faux concern from western newspapers. If the media were truly interested in the issues of central Africa they would actually headline on what continues to happen in congo right now. But no one cares because it doesnt suit the liberal agenda. Yeah, you carry on exploting to your own ends what happened in Rwanda,when an entire society, tear itself apart as the west watched. Meanwhile, Africa knows who it is who provide the hospitals and schooling and help pick up the pieces after the rich world has stripped out what it wants. They seem to have a single well documented incident. This incident is then used to implicate the entire Church. It seems that the Guardian’s reporter is using rather inventive logic, and that his audience is rather addled. My concern is that the charge of shielding guilty priests and nuns who may have participated in atrocities in the larger Catholic world- like is charged in the article- this is something that would take things out of the context of just a Rwandan Catholic community problem. This is something that has some complexities given that Catholics should look after one another, and some CAtholics are persecuted and need sanctuary in other nations- but in dealing with say genocidal acts or abuse of children, I can not see a reason for the clergy to close ranks and hide out real bad apples- if they in fact did- which is a reason for my writing this piece. I don’t necessarily take the quick exit from an inquiry just because the source of info may be someone who hates Catholics or the Church- sometimes they may get it right on a particular case and we shouldn’t reject out of hand some challenge just because the source isn’t someone we like or isn’t considered a friendly or completely impartial observer- that latter quality is really a rare thing in today’s ideologically-driven media. I would like to one who engages the facts- avoids ad hominem short cuts away from uncomfortable questions and the like. Yea, this is just sickening aside from the church hiding the sexual abuse. Its just the same phenom that occured during war word in europe. Although , there were many christian heroes that risked their lives to protect jews. It appears that morality was superceded by tribalism in this case. May their tormentors suffer greatly for this. I am sure there is place for them resrved in the circle of hades for them. All these boils down to spiritual warfare. I think in Rwanda’s case, they let the anti-Christ rule them. And when people continue to say the things they are saying about Catholics, they are actually fuelling hatred which is anti Christ’s teachings. I agree with all that has been said by the different people above,the impact of colonialism is so great. I come from a small country that has gone through that process(Papua New Guina) and we in Bougainville have hust come out of a bloody armed conflict very similar to the one described but in a small scale in my observation. We are 85% catholic too but I find that it is us the catholic women who were the most active in the peace building work that significantly brought the fighting to a stop and dialogue through peaceful means took over. In any war, women and children suffer the most. But it is the women who pick up the pieces.I am speaking from our experience from 1989-2003. There is so much more to share.Iam proud to be a catholic and using my faith to quell the situation where respect for human rights was non existent.